The City operates under the Council-Manager form of municipal government. The City Council is comprised of five members elected at large to four-year terms. The Mayor is rotated amongst the Council on a yearly basis. 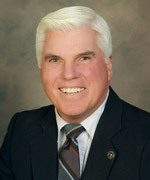 In addition to Councilmembers, the City Treasurer is also an elected position. Dina M. Rosales is the elected City Treasurer and is responsible for ensuring all funds of the City are received, disbursed, deposited and invested in accordance with the City's Investment Policy and Generally Accepted Accounting Principles (GAAP). The primary mission of the City Treasurer is the safekeeping of City funds. Safety, liquidity and yield are always considered, in that order, when investing idle funds. The City Attorney's Office represents the City of Pinole in legal matters and attends City Council meetings. The City Attorney is the primary legal counsel for the City Council, Boards and Commissions, City Manager, City departments, officers and employees. The City Attorney provides legal representation and advises City officials on all legal matters involving the City, including land use, personnel, contracts, real property transactions, elections and redevelopment. 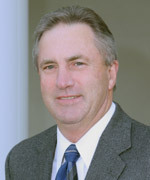 The City Attorney represents the City in State and Federal court and oversees outside counsel handling other litigation. The City Attorney is also the General Counsel of the Pinole Redevelopment Agency. Below is a list of the County Supervisors who represent the City of Pinole. For a full listing of the Contra Costa Supervisors visit the Contra Costa County Website.